We would like to thank Andrew Houwen for editing and commissioning the work that has been featured in this issue. Suzuno Umine (1981-) was born and raised in Kagawa Prefecture. He is a member of the Kasei and Shin literary associations. In 2014, his first haiku collection, Ichiban sen (‘Number One Line’), was published by Bungaku no Mori, for which he received the fourth Hoshino Tatsuko Début Prize. The haiku selected here are from this collection and from more recent ones published in Kadokawa haiku in September 2016. 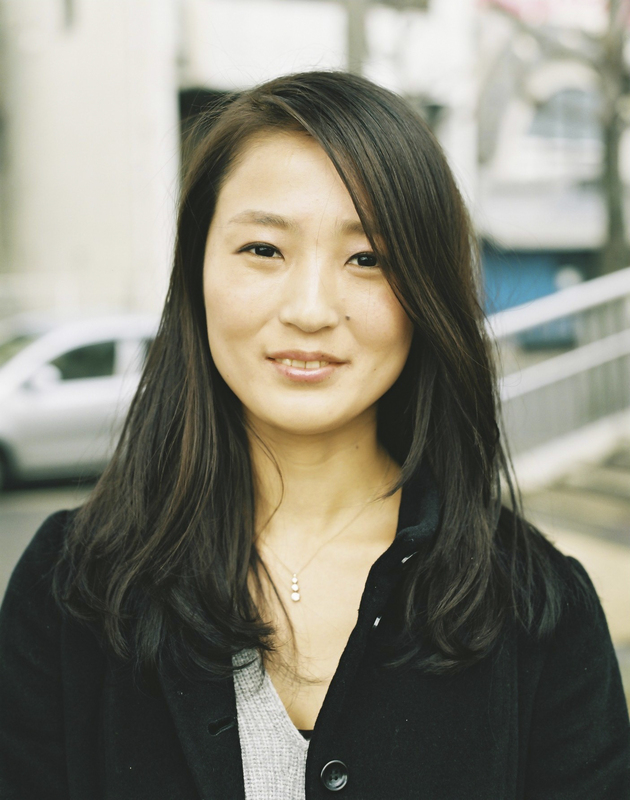 Noguchi Ayako (1987-) was born in Gifu and lives in Nagoya. While still a high-school student, she was awarded the Tanka Studies Début Prize and was the youngest recipient of the Modern Tanka Association Prize for her first collection, Kubisuji no kakera (2009). The novelist Suwa Tetsushi’s influence is evident in her second collection, Natsu ni fureru (2012), and she collaborated with Misumi Mizuki on a tanka and poetry book, Kikanshi to hajimete no tegami (2014). The translations here are from her third tanka collection, Kanashiki gangutan (2015). Her fourth tanka collection is due to appear in autumn 2017.
the blue sky or suchlike I noticed. in factories, the sea, on nameless islands. I did miss my chance to be well dressed. no one came with tender gifts. Men only knew how to give a salute. Merely pretty gazes they left as they set out. my heart had been hardened. Only my arms and legs, chestnut-hued, shone. my homeland was overwhelmed by war. Was there ever so stupid a thing? Blouse sleeves rolled, I strode the humiliated town. jazz poured from the radio. I devoured the exotic, sweet music. don’t blame it on the others. Myself, I failed to water it. don’t blame it on your friends. Who was it lost the pliancy? don’t blame it on the family. I myself was bad at most things. don’t blame it on the daily round. My spirit was enfeebled from the outset. and, generous, spread odd fragrance. casual, as if not surprised. Let’s talk again, like it was yesterday. Well, it’s been a while, no? How large the trees are, and how many flowers! When we planted, there were just five or six. Oh how many now, scattered all around! I’d slowly, gently clasp your sash. once more, but not gone, garden at night. Ibaragi Noriko (1926-2006) was a leading member of the poets associated with the magazine Kai (‘Oar’), who came to prominence with her strongly individual, politically and culturally forthright poems during the 1950s. In a long career she published nine volumes of poetry, the last one, Saigetsu (‘The Years’), posthumously issued in 2007 on the subject of her husband’s death (from which ‘The Garden at Night’ is taken), various collections of essays, and an anthology of Korean poetry in her own translations. Her most famous poem, ‘When I was at My Most Beautiful’, was found, translated in a magazine, by Pete Seeger, who set it to music and included it on one of his albums. (From Yoshioka Minoru Zenshu, [Collected Poems], published by Chikuma Shobō). 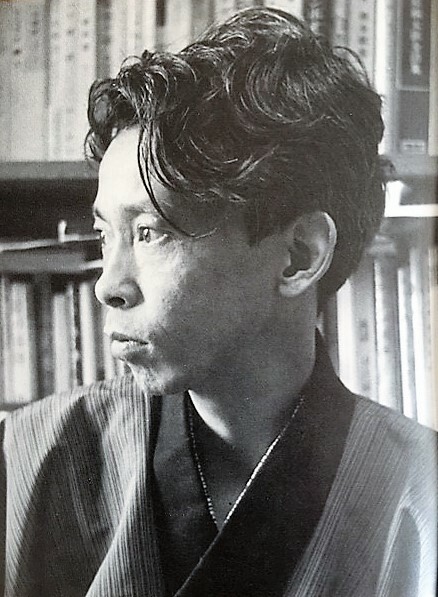 Yoshioka Minoru (1919-1990) was one of the most important poets of Japan’s postwar period. With Modernist and Surrealist influence, he became the most influential practitioner of experimental poetry by the 1960s, carrying on a creative dialogue with Butoh dance and painting. Monks (1958) was Yoshioka’s official debut, and brought him recognition as a poet for the first time. His later work focused on the practice of appropriation and collage. 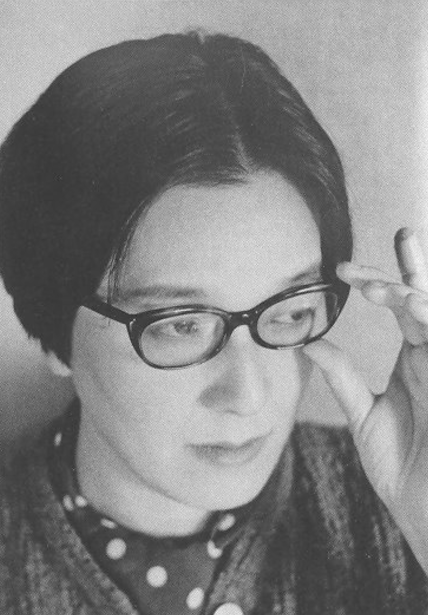 Mizuta Noriko (1937-) has published a half-dozen volumes of poetry in Japanese in addition to her translations of works by Sylvia Plath and Anne Sexton and over a dozen scholarly volumes in comparative literature, poetry studies, and women’s studies. Among other honors, she has been awarded the Pro Cultura Hungarica Prize (2011) and the Cikada Prize for Poetry (2013). 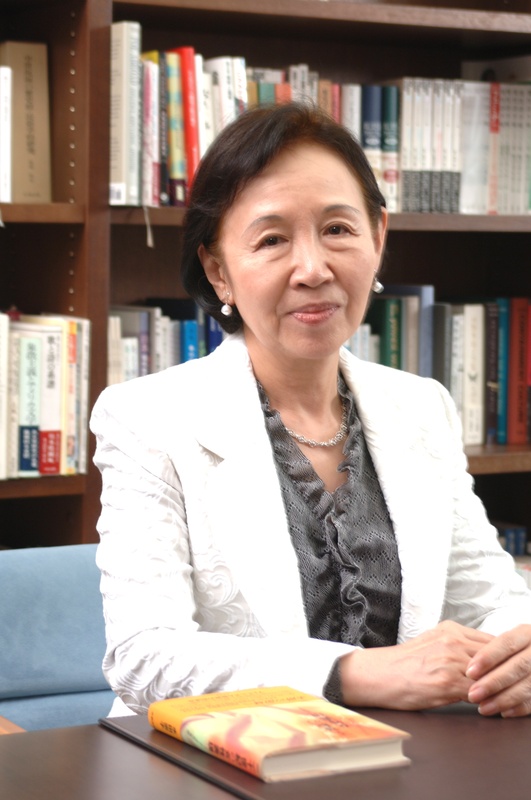 She earned her Ph.D. at Yale University in 1970, and taught the University of Southern California before returning to Tokyo where she currently resides. Her collections, The Road Home (2015, tr. Jordan Smith) and Sea of Blue Algae (2016, tr. Jordan Smith), are available in English. that is what my days are like. drifts away like smoke in a bar. semilog graph paper has no zero point. suddenly, I couldn’t find the words. That I really don’t know. Pollen gets in my eyes. that clouds my vision? There’s nothing I can do. standing in front of the ticket barrier. Tanaka Yosuke (1969-), the author of two poetry collections, A Day When the Mountains are Visible (Shichōsha, 1999, in Japanese) and Sweet Ultramarine Dreams (Michitani, 2008, in Japanese), also works as a molecular cell biologist in the daytime. After being chosen as “Eureka Poet of the Year” (1989), he serves as the editor of the poetry magazine Kisaki (1989 -). He also contributed as a guest poetry editor of the Japanese poetry issue of Jung Journal: Culture & Psyche (Volume 10(1), 2016). Torii Shōzō (1932-1994) was an accountant and a member of the influential avant-garde journal group VOU (pronounced ‘Vow’), edited by his esteemed mentor, Kitasono Katué. Torii’s first book, published at the age of 22, was A Bibliophile’s Notebook, a book of essays on the books he loved. 8 volumes of his poetry, mostly in limited editions of between 125-300 copies, were published between 1955 and 1994. He was a private publisher of fine, rare poetry books specially bound and printed on washi paper, in addition to the journal he edited, TRAP, publishing Lawrence Ferlinghetti, David Mamet and photography by Nicole Rousmaniere. His book collection of Japanese and Western modernism and surrealism was one of the most formidable in Japan. Nihei Chikako (1985-) is an assistant professor of Global and Science Studies at Yamaguchi University, Japan. She completed a Ph.D. at the University of Sydney, focusing on the Japanese writer Murakami Haruki. She is currently looking at representations of food in Japanese literature and the food education system in Japan. Peter Robinson’s (1953-) most recent publications are the novel September in the Rain (2016), his Collected Poems 1976-2016 (2017), and the bilingual Approach to Distance: Selected Poems from Japan with translations from Iwata Miki (2017). His versions of Ibaragi Noriko’s poems, made with the help of Horikawa Fumiko, were first published in 1992 in When I Was at My Most Beautiful and Other Poems (Skate Press). It is now unobtainable, and the texts included from this collection have undergone some revision. An enlarged collection of Ibaragi poems is currently being prepared. Eric Selland (1957-) is the author of Beethoven’s Dream and Arc Tangent (both on Isobar Press, Tokyo). His translation of The Guest Cat, a novel by Hiraide Takashi, was on the New York Times Bestseller list in February of 2014. He is currently editing an anthology of Japanese Modernist and avant-garde poetry with poet/translator Sawako Nakayasu. Eric currently lives in Tokyo where he works as a translator of economic reports. Jordan A. Y. Smith (1976-) writes poetry between Japanese and English, translates poetry and prose, and is a professor of comparative poetry and literary translation in Tokyo. His writings have appeared in journals such as Gendai-shi Techo, U.S.-Japan Women’s Journal, and The Comparatist. 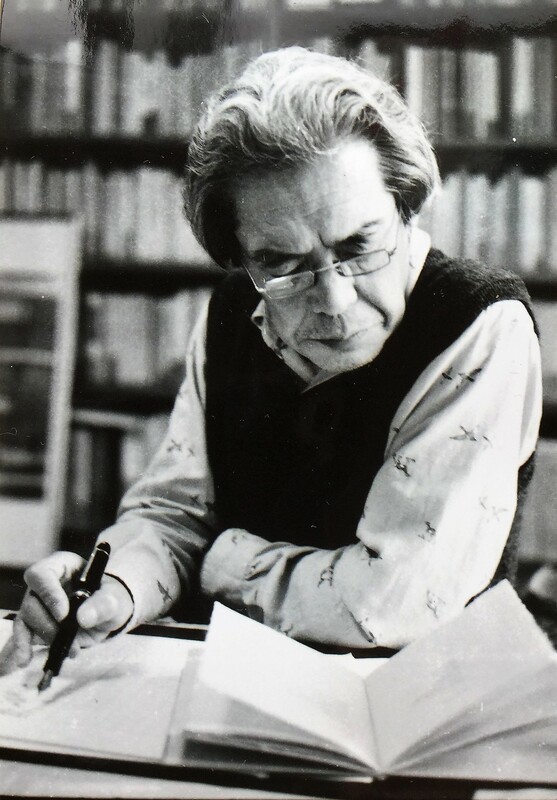 He has translated works by Yoshimasu Gōzō, Nomura Kiwao, Saihate Tahi, Fuzuki Yumi, Nagae Yuki, Alberto Fuguet and more. 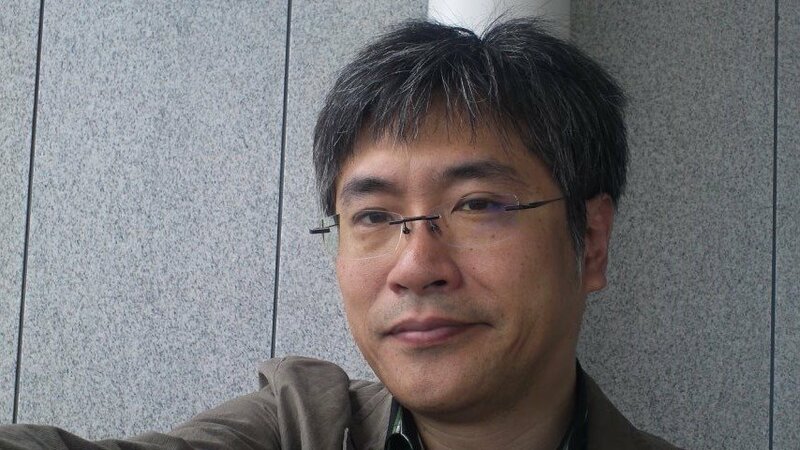 He currently serves as Japanese poetry editor for Tokyo Poetry Journal. Kubo Mitsuhiko (1979-) currently serves as pastor at Immanuel General Mission Wakayama Church in Wakayama, Japan. He’s been married almost three years now and is blessed with two daughters (so far). He plays drums occasionally. His favorite drummers include Steve Gadd, Hideo Yamaki, and many others. 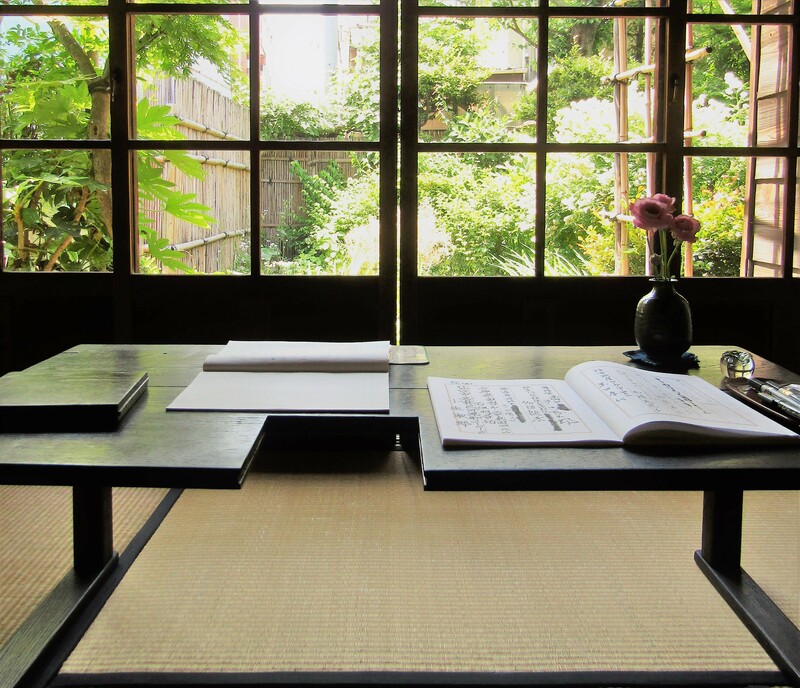 He has translated some pieces composed by Japanese poets (Miduki Misumi, Yosuke Tanaka, etc.) into English. He’s been planning to do the Japanese translation of Preaching in the Spirit (a wonderful book about Christian preaching) written by Dr Dennis Kinlaw. Taylor Mignon (1967-) is Editor-in-chief of Tokyo Poetry Journal and has advised Japan-themed issues for Prairie Schooner (Summer 1996), Atlanta Review (Spring/Summer 2002) and Vallum (Montreal, 2005). He’s currently organizing material for a special book-issue of TPJ focused on Japanese Beats and Surrealism. He is attempting to finish a project on VOU poetry with Karl Young. Thank you! This was an interesting and informative read.